The island nation of Kiribati, officially the Republic of Kiribati, is located in the central Pacific Ocean. The nation encompasses 32 atolls and reef islands, and one raised coral island, Banaba. Three island groups form Kiribati – the Gilbert, Phoenix, and the Line Islands. The total land-mass is 800 square kilometers (300 square miles), dispersed over 3.5 million square kilometers (1,351,000 square miles). The land area straddles both the equator and the International Date Line, with the International Date Line being indented in order to put the Line Islands in the same time zone as the Kiribati Islands. As of 2011, the population was just over 100,000, with the most populated area being South Tarawa, the capital. Other interesting factoids about the island nation of Kiribati include being a member of the Commonwealth of Nations, the IMF and the World Bank. Kiribati also became a full member of the United Nations in 1999, is the only country in the world that lies within all four hemispheres, and it has one of the highest percentages of Latter-day Saints in the world (between 16%-17%). Although Kiribati may be considered one of the most beautiful and remote nations in the world, it is also one of the most vulnerable in relation to climate change. Due to rising sea levels, the nation has lost its land, resulting in a major episode of malnutrition, especially among Latter-day Saint children. Latter-day Saints have had a presence in Kiribati since the early 1970s when a local elementary school teacher and headmaster, Waitea Abiata, sent a dozen of his students to Tonga to study at the LDS Liahona High School. While attending school in Tonga, all of the students became members of The Church of Jesus Christ of Latter-day Saints, and upon returning home, they shared the message of the gospel with family, friends, and neighbors. One of the first converts was their teacher who later became the first Branch President in Kiribati in 1975. Since then, the Church has consistently grown in membership, and today there are approximately 17,000 members, most of whom reside in Tarawa and nearby islands. At the invitation of the Pacific Area Presidency, a team from the Liahona Children’s Foundation consisting of Sara Walker (an international public health & nutrition specialist), Robert Rees (Vice-President of the Foundation), and three Latter-day Saint sisters from Australia (Carol Armstrong and Liz and Courtney Pocock of the Island Rescue Project), visited Tarawa, Kiribati between Christmas 2013 and New Year 2014. Their assignment was to determine the level and extent of malnutrition among the Latter-day Saints. Assisted by local members of the Church, senior missionaries, and Brother Iotua, former head of the Church-run Moroni School in Tarawa, former Stake President, and current Church’s Kiribati Service Center Manager, they screened children and pregnant and lactating mothers in the Tarawa East and Tarawa West Stakes. The team conducted four screenings in the Tarawa West Stake on 30 December 2013 and five screenings in the Tarawa East Stake on 31 December 2013. A total of 550 children and 25 pregnant and lactating mothers (which includes 100 nonmembers) were screened. Of the children screened, about one-fifth (20.4%) were identified as being malnourished. Of the mothers that were screened, 8% were identified as being malnourished. The WHO growth charts also help screeners identify the type of malnutrition: wasting (low weight for height), stunting (low height for age), and underweight (low weight for age). According to the WHO, “Stunting develops as a result of sustained poor dietary intake or repeated infections or a combination of both”; “wasting develops as a result of recent rapid weight loss or a failure to gain weight”; and underweight is “a low weight-for-age.” Of the 20% of children who qualified as malnourished, 5.5% were identified as wasted, 13% as stunted, and 8.7% as underweight. 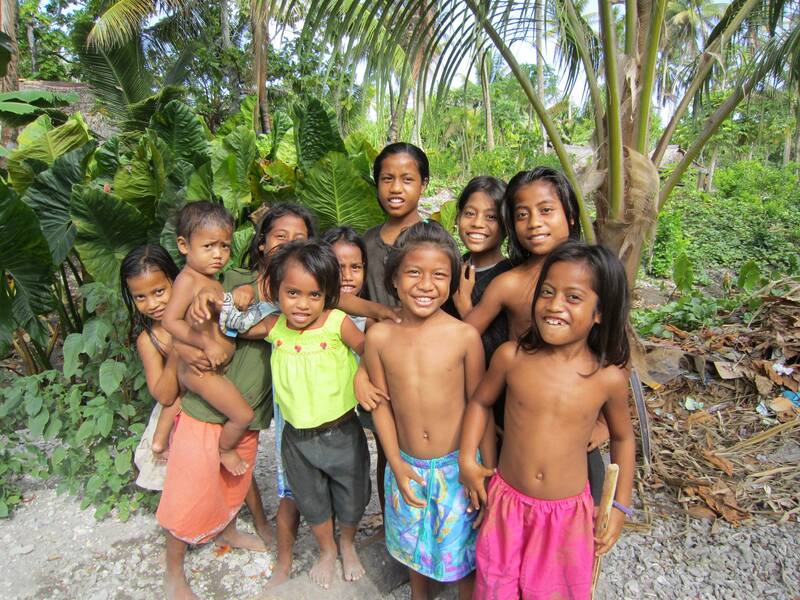 Conditions on Kiribati predict that malnutrition would be a serious problem. Kiribati is one of the poorest and least-developed countries in the world. It has few natural resources, limited local food sources (except for fish), very limited water resources (mostly from rainwater) and very high unemployment (over 60%). The infant mortality rate is 54/1000, compared with 6/1000 for the U.S. Life expectancy is nearly twenty years below that of U.S. citizens. Bacterial infections and food poisoning are common, as are skin diseases; diabetes on Kiribati and the Marshall Islands is the highest in the world; and the “prevalence of age-adjusted tobacco use is the highest in the world. By all accounts, Kiribati is in need of dire help. If it were not for the assistance of humanitarian organizations such as the Liahona Children’s Foundation, the Island Rescue Project, the United Nations and the European Union, as well as assistance from neighboring countries to include Australia, New Zealand, China and Taiwan, the situation would be even worse. It is not possible for the Liahona Children’s Foundation to address all of the problems, but they can focus on the main problem – malnutrition among Latter-day Saint children. Within the coming months, the Foundation will work in concert with the Pacific Area Welfare Manager and local leaders to develop a program in Kiribati which will help to accomplish two main objectives: 1) improve the nutritional status of both children under five and pregnant and lactating women; and 2) encourage self-reliance by teaching good hygiene, breastfeeding behavior, and enhanced nutritional practices.